The project explores the (ab)uses of music in detention camps. It shifts attention to poorly-understood functions of music as a means to intimidate, humiliate, and ‘break’ prisoners, but also to ‘re-educate’ and ‘entertain’. With the exception of Nazi concentration camps, and, less so, the Soviet Gulag, there is a significant gap in scholarship despite the prevalence of mass detention camps in the 20th century. The way music was an integral part of detention camps, carrying both the potential to damage and empower subjectivity, needs to be documented and analysed through the looking glass of musicology, history, and psychoanalysis. This project fills this gap by investigating the multifaceted use of music in the political prison camps during the civil war and its immediate aftermath (1947–1957), focusing on the Makronisos camps. It will critically examine: (1) the use of music as a means to ‘re-educate’, punish, humiliate, and ‘break’ prisoners; (2) official camp orchestras and choirs, addressing the complex issue of performing music under orders; (3) the role of the Makronisos radio station, as well as the use of radio in other prison camps; (4) clandestine music-making by detainees and their debates on Greek music (e.g. rebetiko). Through archival research and interviews, the project will document and reconstruct the use of music and musical life in the camps. Former detainees, composers, and intellectuals of the time will be interviewed. 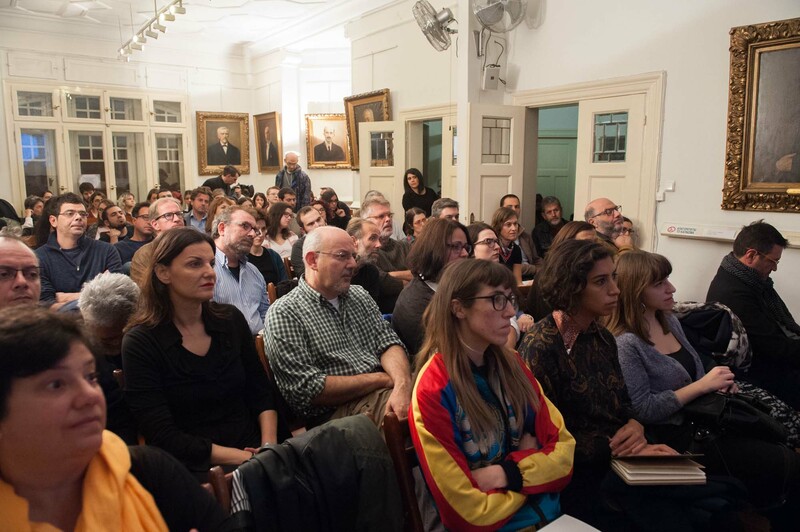 Crucial to the project are mostly Athens-based archives, such as ASKI, Parliament Archive, Exile Museum Archive, and the Archive of Audio-Visual Testimonies (University of Thessaly, Volos). Research findings will be analysed, using an interdisciplinary theoretical framework, bringing together musicology, history, philosophy, trauma studies, and critical theory. The project will enquire into the connection between music and agendas of repression, as well as the ways in which music can empower detainees. The importance of this critical understanding is not limited to our historical past: it is timely in light of the refugee crisis in Greece and the EU. Results will be communicated to already established networks of human rights organizations in Greece and abroad. In this sense, research findings will also contribute to the ongoing debates on mass detention. Project outcomes will include: (1) a symposium on music in detention, where I will present research findings and conclusions. Also invited will be academics working in the area of concentration/prison/detention camps as well as practitioners working with detainees, offering more practical insights on the use of music in this context. (2) Educational workshop at Moraitis School in the context of history classes. (3) An article (in English) to a peer-reviewed journal, which will reconstruct and critically analyse the use of music in the prison camps in question, exposing its relation to agendas of repression. (4) A short article in Greek to be published in a newspaper literary supplement, addressing a wider audience. This research project was funded by the Research Centre for the Humanities (RCH), with the support of the John S. Latsis Public Benefit Foundation. 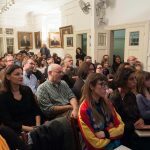 The symposium is part of the research project by Dr. Anna Papaeti entitled «Music in the Prison Camps of the (Post) Civil-War Era in Greece (1947–1957)» funded by The Research Centre for the Humanities (RCH) for the year 2017. 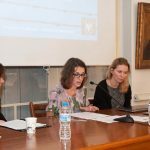 The research project “Music in the Prison Camps of the (Post) Civil-War Era in Greece (1947–1957)” was funded by the Research Centre for the Humanities (RCH) for the year 2017, with the support of the John S. Latsis Public Benefit Foundation. Music has been considered as an uplifting and enlightening art-form from antiquity to contemporary times. Such perceptions have overshadowed its long-lasting associations with punishment, terror, and humiliation, encountered across historical periods and geographical areas. With the exception of Nazi concentration camps and perhaps the Gulag, musicologists have mainly focused on the more positive uses of music. Recently, however, there has been a turn in research associated with revelations of music’s integral use in torture methods and human rights violations. The blasting of music in detention centres of the so-called ‘War on Terror’ has underlined music’s institutionalization in repression and interrogation practices. Despite the publicity received for such disclosures, discussions in the public sphere have been marked by the tendency to overwrite music’s damaging ability, underlining the difficulty in grasping the darker side of the tune, as it were: that is, music’s capacity to inflict pain both physically and psychologically. Guantanamo is by no means a unique case. It is, however, the most exposed example that has attracted global media attention, thus bringing to the fore the problematic nature of the use of music in detention. Following this exposure, a growing debate has sprung in what seems to be an emerging field within music studies that sometimes finds interlocutors within (ethno)musicology, but often in other fields such as social anthropology, history, trauma studies, and human rights studies. Main issues of debate include the following: Can music be considered as a form of torture or cruel, inhuman, and degrading treatment? Is it music in itself, or the high volume and the repeated sound that turn it into torture? How can one prove music torture in court? Can some uses of music in detention be beneficial for prisoners, or is it always aligned with power? In other words, can music by command ever help those performing it, or does music-making in detention always have to be voluntary? This project fell within this emerging field and line of enquiry. It investigated the ways music was used at the prison camps at the island of Makronissos during the civil-war and post civil-war period in Greece. Contrary to other European countries where Nazi collaborators were detained in internment camps, in Greece it was leftist resistance fighters the ones to be imprisoned, exiled, abused, and tortured. Intended as places for re-education, prison camps were situated on the islands of Markonisos, Giaros, but also Trikeri and Chios for female prisoners. Described as ‘Slavs’ or Bulgarians who had lost or forfeited their Greekness, communists and leftists were considered to be in need of re-education in order to become real Greeks. Their rehabilitation presupposed signing declarations of repentance, in which they denounced their prior political action and the Communist Party (KKE). This, in turn, led to a life of isolation and stigma, particularly for members of the KKE. The Party denounced any members who, unable to withstand torture, broke down and signed declarations. Even if declarations were later recalled, its stigma was not so easily eradicated. The civil war is a topic that has been examined extensively mainly by historians but also social anthropologists or even psychiatrists, giving rise to important studies on several aspects of the topic. Although the use of music in situations of detention has not been examined as such, there has been some attention on music practices in situations of detention (contrary to the period of the Junta). 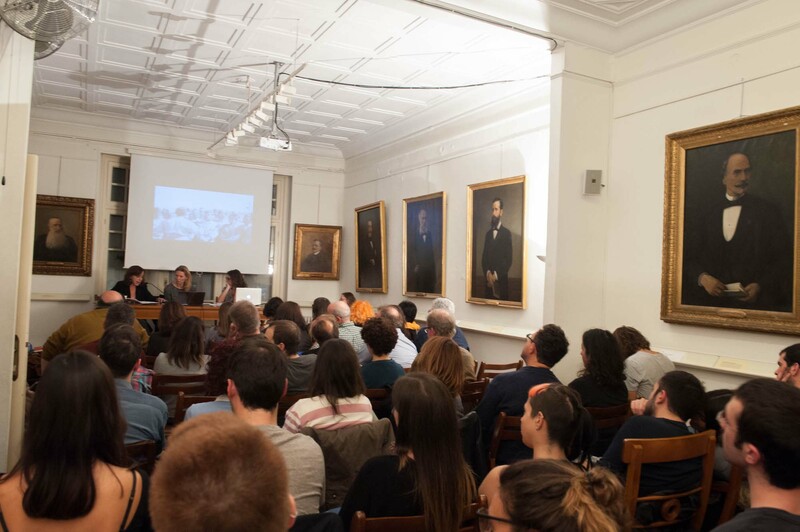 This was mainly done by historians working on political prisoners, a subject that has produced important works by Polymeris Voglis and Dimitra Lampropoulou. In Voglis thorough study there are some references on nationalist songs with regard to the Makronissos camps and other ones on the more general use of music. There is also a plethora of music references in published survivor testimony and archival material with regard to imprisonment, detention, terror, humiliation, repression and indoctrination. In investigating the use of music at Makronissos, the research focused on textual and archival research. Contact was also made with a few survivors; one interview was conducted during this time. More are scheduled in the near future. The research solely explored the use of music by camps authorities, from top down so to speak. It did not extend to the music of prisoners initiated by themselves due to limited time. Makronissos was the most infamous prison camp: a place of brutal torture and indoctrination. It was designed as a ‘rehabilitation’ station for communists and leftists. Established in 1947, it continued to operate after the end of the civil war up until the late 1950s. Makronissos was initially conceived as barracks for the re-education of soldiers suspected of communist convictions. It was later expanded with additional camps for political prisoners, including women and children. So-called re-education (or brainwashing) in Makronissos consisted of systematic torture, hard labour, nationalist and anti-communist speeches, a propaganda magazine issued by so-called rehabilitated soldiers, and music, among others. The use of music was very much in line with internment and indoctrination camps of the period internationally, showing how such repressive practices were circulating internationally, connecting Greece with other centres of power. It included forced singing, orchestras and bands, choirs, as well as music transmitted from the Makronissos Radio Station. Research findings point to a multifaceted use of music in the context of ‘re-education’. These practices can be deemed as a cruel, inhuman, and degrading treatment, and in some cases torture. They are grouped below and discussed in brief. The gatherings of the Moral Education were quite monotonous at first. The reading of ‘declarations of repentance’ from the podium, [folk songs] Gerakina, Pasaropoula, and the unprepared speeches of officers were a very poor programme. This, however, was gradually enriched with four-line or eight-line poems, [and] short stories […]. Soon the song of the ‘reformed’ ones was created, becoming the official hymn of the battalion. The lyrics were written by the then director of the Office of Morality, Makis Dogas. They told us ‘And now [it’s time for] singing. All together, let’s sing “Get out Bulgarians”’. Some sang, some howled, others puked blood, and others cried. A large unit of soldiers passed through, loaded with stones. While they were running, they were singing ‘What do the Bulgarians want in Greek villages.’ […] Kostas left his things, and sneaked in the unit, observing with great surprise the soldiers’ faces. He could not explain this phenomenon – stone and singing together. In the context of hard labour, forced singing not only humiliated prisoners but also added to their physical strain, and could be deemed not just as cruel, inhuman, and degrading treatment, but also as a form of torture. The orchestra should be at the head of the battalion, and play during the entire way.’ The order was followed. At the front the orchestra, at the back those carrying the stones. Who came up with this method? In a letter to the Communist newspaper Rizospastis on 25 June 1947, soldiers of the Second Battalion wrote how the band was introduced after authorities failed to make them yield. This letter is very important in that the soldiers recognize music as a tool introduced in order break them, when other practices failed. Also interesting is that they make the connection with Nazi practices, early on after the end of the war. Another link between Makronissos and Nazi concentration camps is music-making by command. The choirs and orchestras of the camps were not only intended for the ‘re-education’ of prisoners, but were also an important tool of propaganda for national and international guests. Telling are articles by foreign journalists in Greek and British press in 1949, extolling the Makronissos experiment, both noting the high quality of the male choir but also of the bands. According to an article by American journalist Dorothy Thomson at the Greek newspaper Ta Nea, Greece’s old love for music was reborn in Makronissos. Apart from the male choir – which was the best she had ever heard – she writes about an orchestra consisting of popular instrument such as mandolins and the accordion; its members performed their own music. Equally celebrating is the article on Makronissos in The Guardian. Its mention of the thorough and genuine enjoyment of prisoners/performers raises questions about music-making under command. Was the participation in these choirs obligatory, and if so, what did it mean to perform an imposed nationalist repertory in this context, providing the façade for the regime of terror singers were exposed to? According to my interviewee ‘B’, who was imprisoned in Makronissos from 1948 to 1949, participation in the choir gave prisoners short breaks from hard labour. It was also an opportunity to ‘escape’ the camps, as the choir would perform outside Makronisos for propaganda purposes. ‘B’ too said how the choir was the best one he had ever heard, echoing the above-mentioned foreign journalists. It consisted of 100 to 120 men who were on their way to rehabilitation, he noted. This leads to the assumption that the choir consisted of men from the Second Battalion, something also supported by The Guardian article. However, in a 1950-video-coverage of the visit of the Chief of the Hellenic Army General Staff at Makronissos, there is mention of the famous choir of the First Battalion (that is of the unrepentant soldiers); during this visit, the choir sang patriotic, folk, and classical songs. This raises the question whether by 1950 there were two male choirs, or whether there is a mistake in the video. Further investigation is needed for the choir(s), orchestras and bands at Makronissos, as well as the effects it had on performers and audiences. The questions whether such participation provided practical and emotional outlets for one’s survival, or whether this was an altogether damaging experience, remain however an unclear and important issue which needs to be explored through testimony in order understand more recent uses of music in detention, currently deemed as therapeutic. Though ‘B’ here mentions a primarily nationalist repertory, written testimonies but also autobiographical novels by former prisoners recall a wide-range of repertory. Panagiotis Economopoulos’ novel The Exiles mentions marches, so-called light songs, and cheerful song. He also writes how music was used as an instrument of terror. Light-music, and love songs in particular, are also recalled by Ourania Staveri who was transferred to Makronisos from Trikeri. For Staveri, these songs aimed to awaken in their ‘hearts the nostalgia for life and love’. ‘You see’, she writes ‘“psychology” is needed everywhere’. Selective recollection of music is often encountered in survivor testimony. The different repertory here may reflect the different periods during which exiles were kept on the island. However, it is mainly related to the traumatic nature of such moments, as well as to the fact that certain songs became anchored more firmly in the memory depending on one’s relation to music. Further research will try to document the radio listings and music programmes played during the different years, as well as the change in repertory (if any), noticed during the camps’ operation. What this brief outline shows is that music was used in a multifaceted way at the Makronissos prison camps as a means to terrorize, humiliate, and ultimately break political prisoners, who were pressurized to sign declarations of repentance, renouncing their comrades and the KKE. This is not to suggest that music and music-making were not ‘recovered’ by the prisoners themselves and used as a means of survival and of forging community-building. Further research will be conducted in order to explore the music from below so to speak. Such historical recovery is deemed important particularly in light of the increasing use of music in prisons as well as detention facilities for immigrants and refugees. Further research will also examine any discussions on rebetiko from prisoners unfolding at Makronissos in the context of the hostile reaction of the KKE. As a musicologist researching the damaging as well as positive uses of music in detention, I find that the so-called Makronisos experiment sheds light not only on the music practices, but also on the long-term effects on prisoners. In turn, this historical recovery helps us to understand better and shape policy with regard to current uses of music in detention. For instance, indicative is the testimony of ‘C’ whom I interviewed in 2011 about his torture experience as a political prisoner during the Junta. Although ‘C’’s testimony was not obtained during this fellowship, it is important to not here, because it shows the long-term effects of such practices and contextualizes the research questions of this project and its future development. ‘C’ was imprisoned from the civil-war period to the Junta with a short interlude of freedom in the 1960s. I rigorously pursued this interview because the late Maria Piniou Kalli had communicated to me that he had once told her that clarinet music would have been his ultimate breaking point in torture. 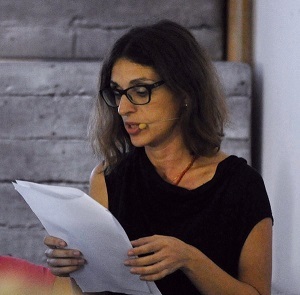 A former political prisoner of the Junta herself, Piniou Kalli was the director of the Medical Rehabilitation Centre for Torture Victims (Athens); her conversation with ‘C’ took place in the context of a survey on the long-term effects of the Junta’s torture, conducted by the Centre. ‘C’’s claim was interesting given his unbending resistance in torture about which he had talked in interviews. Aware of his high tolerance to pain, he said in an interview, the torturers at Athens Security Forces or Asfalia did not torture him during his one-month stay there, contrary to other detention centres where he was held. During our interview, ‘C’ reaffirmed his claim about the clarinet, a repetition that makes this admission altogether more interesting. He characteristically said: ‘I am so fed up with the clarinet… had they put a clarinet player inside the isolation cell […] I would have confessed everything. They would not have to torture me; I would surrender myself entirely.’ C’s reference to clarinet music primarily refers to the folk dance tsamiko. In trying to establish where this aversion originated from, we ended up talking about Makronissos where he was imprisoned in 1953 as a soldier. He characteristically noted how tsamiko was played all the time from loudspeakers, singling out the song ‘Papalamprena’. ‘C’ identified tsamiko with power and repression, something that went back to his civil-war and post civil war experience. ‘C’’s testimony clearly shows how the use of music in detention can in some cases scar one much more than physical torture. Indeed research has shown that what is often deemed as ‘psychological’ torture and ill treatment – that is methods that focus on causing anxiety and fear – have more long-lasting side-effects with regard to Post Traumatic Stress Disorder. That many survivors has also deemed music as one of the worst torture practices underlines the importance of documenting, analysing, and legislating against such practices. Such a move from research findings to legislation presupposes a communication between academics across disciplines, human rights practitioners, and law-makers, since music’s use in repression mechanisms is still underestimated in the public sphere and remains to a great extent under-documented. 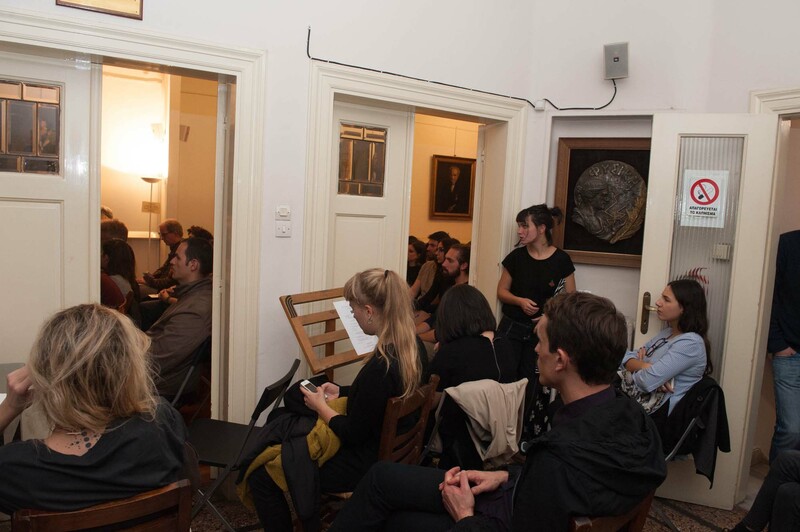 The Symposium organized in the context of the fellowship, titled Music, Torture, Therapy: A Symposium on the Uses of Music in Detention, sought to make this point. 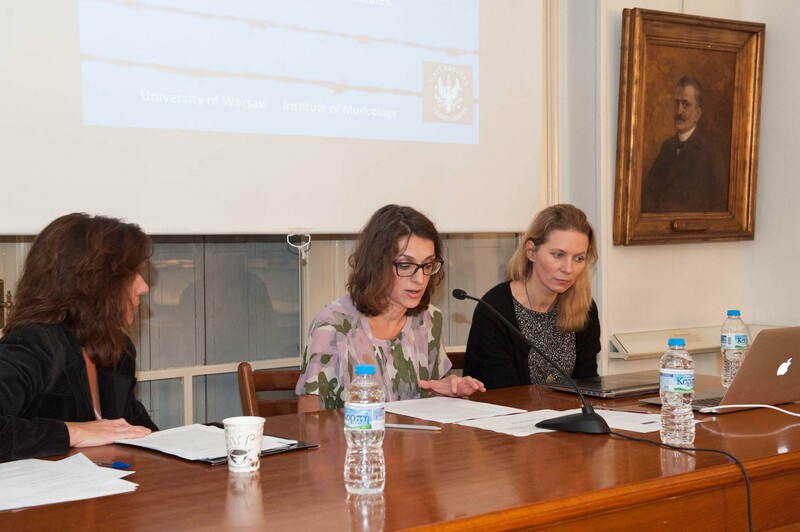 While the first panel explored music’s use as repression and terror in Nazi concentration camps (Katarzyna Naliwajek-Mazurek) and sites of detention in cold-war Greece (Anna Papaeti), the second session focused on issues that combine both theory and practice. Specifically, Morag Grant reflected on the difficulties of proving music torture legally, and of translating research into facts that could be used in courts of law. The Symposium ended with a paper on positive uses of music in detention by Mitsi Akoyunoglou-Christou. 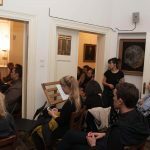 She explored group music therapy sessions to refugee children in transit camps at the island of Chios, which she has been offering voluntarily for over two years. 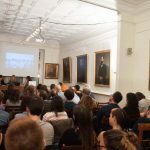 Almost all speakers, who are also activists, raised the need for dialogue between researchers across disciplines, law-makers, and human rights groups as well as institutions involved in shaping policy. The point was made that working on case studies, documenting, and shedding light on practices in different historical contexts but also on their long-term effects (wherever possible) can be an important tool in understanding the continuities and the damage caused by such music practices. It is an important step towards legislating against such uses and protecting prisoners and detainees, something at which most of us working in the field aim. Juliane Brauer, Musik im Konzentrationslager Sachsenhausen (Berlin: Metropol, 2009); ‘How Can Music Be Torturous? : Music in Nazi Concentration and Extermination Camps’, Music & Politics Vol X, no.1 (2016); Katarzyna, Naliwajek-Mazurek, ‘Music and Torture in Nazi Sites of Persecution and Genocide in Occupied Poland 1939-1945’, the world of music (new series): Music and Torture | Music and Punishment vol. 2 no.1, guest editors MJ Grant and Anna Papaeti, 31–50; Guido Fackler, ‘Des Lagers Stimme’: Musik im KZ (Bremen: Edition Temmen, 2007); ‘Music in Concentration Camps 1933– 1945’, trans. Peter Logan, Music and Politics vol. 1 no.1 (Winter 2007). Gilbert, Shirli, Music in the Holocaust: Confronting Life in the Nazi Ghettos and Camps (Oxford: Clarendon Press, 2005). Inna Klause, Der Klang des Gulag: Musik und Musiker in den sowjetischen Zwangsarbeitslagern der 1920er- bis 1950er-Jahre (Goettingen: v&r Unipress, 2014). Suzanne G. Cusick, ‘Music as Torture / Music as Weapon’, Revista Transcultural de Música, Transcultural Music Review 10 (2006); ‘“You are in a Place out of the World”: Music in the Detention Camps of the Global “War on Terror”’, Journal of the Society for American Music vol. 2 (2008), 1–27; ‘Toward an Acoustemology of Detention in the Global “War on Terror”’, in: Music, Sound and Space: Transformation of Public and Private Experience, ed. Georgina Born (Cambridge: Cambridge UP, 2013), 275-291. Katie Hemsworth, ‘Carceral Acoustemologies: Historical Geographies of Sound in a Canadian Prison’, in Historical Geographies of Prisons: Unlocking the Usable Carceral Past, eds. Karen M. Morin and Dominique Moran (London and New York: Routledge, 2015), 17-33. Lily E. Hirsch, Music in American Crime Prevention and Punishment (Michigan: Michigan UP, 2012). Robert Neustadt, ‘Music as Memory and Torture: Sounds of Repression and Resistance in Chile and Argentina’, Chasqui: Revista de Literatura Latinoamericana vol. 33 no.1 (2004), 128-137. Katia Chornik, ‘Music and Torture in the Chilean Detention Centres: Conversations with an Ex-Agent of Pinochet’s Secret Police’, The world of music (new series): Music and Torture | Music and Punishment vol. 2 no.1 (2013), guest editors MJ Grant and Anna Papaeti, 51-66. Anabela Duarte, ‘Acousmatic and Acoustic Violence and Torture in the Estado Novo: The Notorious Revelations of the PIDE/DGS Trial in 1957’, Music and Politics vol IX no.1 (2015). MJ Grant, ‘Pathways to Music Torture’, Transpositions: Musiques et sciences sociales, special issue Music and armed conflict since 1945 (2014). https://transposition.revues.org/494, accessed 1 June 2015. Anna Papaeti, ‘Music, Torture, Testimony: Reopening the Case of the Greek Junta (1967–1974)’, the world of music (new series): Music and Torture | Music and Punishment vol. 2 no.1, 67–89. For an extensive documentation and critical analysis of the camps, see Polymeris Voglis, Becoming a Subject: Political Prisoners During the Greek Civil War (New York and Oxford: Berghahn Books, 2002). Indicative are the following publications: Polymeris Voglis, Ioanna Papathanasiour, and Tassos Sakelaropoulos (eds.). Δεκέμβρης 1944. Παρελθόν και οι Χρήσεις του (Athens: Alexandria, 2017); Polymeris Voglis, Η αδύνατη επανάσταση (Athens: Alexandria, 2014); Loukianos Hasiotis, Τα παιδιά του εμφυλίου (Athens: Estia, 2013); Riki Van Boeschoten, Children of the Greek Civil War: Refugees and the Politics of Public Memory (Chicago: Chicago UP, 2011); Manto Daliani-Karampatzaki, Παιδιά στη δίνη του ελληνικού εμφυλίου πολέμου 1946–1949, σημερινοί ενήλικες (Athens, 2009); Philip Carabott and Thanasis D. Sfikas (eds), The Greek Civil War: Essays on a Conflict of Exceptionalism and Silences (London, 2004); Stratis Bournazos and Tassos Sakelaropoulos (eds. ), Ιστορικό Τοπίο και ΙΣτορική Μνήμη. Το παράδειγμα της Μακρονήσου (Athens: Filistor, 2000); Mark Mazower (ed), After the War was Over: Reconstructing the Family, Nation, and State in Greece 1943–1960 (Princeton: Princeton UP, 2000). Polymeris Voglis, Becoming a Subject; Dimitra Lampropoulou, Γράφοντας από τη φυλακή. Όψεις της υποκειμενικότητας των πολιτικών κρατουμένων: 1947–1960 (Athens: Nefeli Books, 1999). Nikos Margaris, Ιστορία της Μακρονήσου (Athens, 1966); Takis Benas, Του Εμφυλίου (Athens: Livanis, 1996; in Greek). Εleni Stephanidou-Karanikola, Σύλλογος Πολιτικών Εξορίστων Γυναικών, Στρατόπεδα γυναικών. Χίος, Τρίκερι Μακρόνησος, Αη στράτης 1948–1954 (Athens: Alfeios, 2006); Ourania Staveri, Το μυστικό τρίγωνο των εξόριστων γυναικών (Athens: Paraskinio, 2006). Dorothy Thomson, ‘The Struggle for Democracy. Makronisos: A Recovering Station for Communists’, Ta Nea (26 May 1949; in Greek). R. Runciman, ‘A Greek Concentration Camp: “The Makronesos Experiment”’, The Guardian (17 August 1949). Interview conducted in October 2017. ‘Events of 1950’, National Historical Archive of Greek National Television and Radio, http://archive.ert.gr/26216/, accessed 25 October 2017. Interview conducted in October 2011. Panagiotis Economopoulos. Οι εξόριστοι (Athens: Ardin; 2004). Ourania Staveri, Το μαρτυρικό τρίγωνο των εξορίστων Χίος, Τρίκερι, Μακρονήσι (Athens: Paraskinio, 2006), 94–95. ‘Η Άγνωστη αντίσταση κατά της Δικτατορίας Μέρος 3ο: Ελλάς Ελλήνων Χριστιανών’, Ρεπορτάζ χωρίς σύνορα, http://rwf-archive.gr/interviews_senaria-new.php?id=189&interview=1&interview_id=689, accessed on 3 December 2017. M. J. 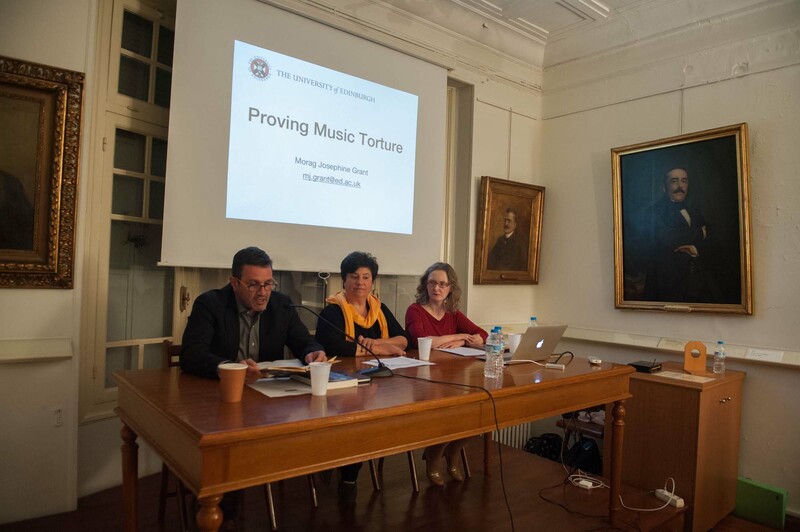 Grant, ‘The Illogical Logic of Music Torture’, Torture: Journal on Rehabilitation of Torture Victims and Prevention of Torture: Special Thematic Issue ‘Music in Detention’ 23 (2), guest editors Anna Papaeti and MJ Grant, 8–9. Anna Papaeti holds a PhD in musicology from King’s College London. She worked at the Royal Opera House, London, and as Associate Dramaturg at the Greek National Opera, Athens. Her research focuses on the critical study of opera and music theatre, political trauma and cultural mourning, as well as uses of music in situations of detention. Her post-doctoral research includes a fellowship by the Onassis Foundation (2016), a DAAD fellowship on Hanns Eisler (Universität der Künste, Berlin, 2010), and a Marie Curie Intra-European Fellowship (University of Göttingen, 2011–2014) on the use of music as a means of manipulation and terror under the military Junta in Greece (1967–1974). She co-edited two journal volumes on the use of music in detention, and has published widely in scholarly journals and edited volumes. 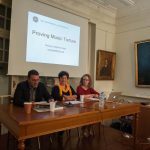 Current post-doctoral research on music in detention in cold-war Greece is funded by the Research Centre for the Humanities, Athens.